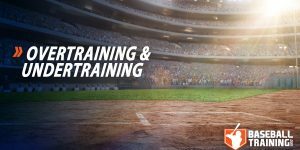 Being a strength and conditioning coach for baseball athletes, the topic of how to lower your 60-yard sprint time comes up very often. And for a good reason, we need this type of speed to steal bases, beat out a drag bunt, and get under the ball if we’re far away and in the outfield. Speed training for these reasons (and many others) is incredibly important for baseball performance. The problem is, speed training for the 60-yard dash is not going to be accomplished through ladder work or anything else that makes it look like you’re playing Dance-Dance Revolution. Of course, there is a point of diminishing returns, but I find most athletes are in dire need of strength and power development first so that they can produce the forces necessary to propel themselves forward. When you think about running, you’re driving your feet into the ground in order to produce the force required to propel you forward quickly. The stronger athlete in the example above would be expressing 200lbs of force into the ground per foot, per stride. Whereas his training partner is only expressing 150 lbs of force into the ground per foot, per stride. Since they both weigh the same, the stronger athlete is going to have the greater stride length (due to propelling himself forward further each stride) and therefore be the faster athlete. Sure, you might have all the other components you need for speed, but you don’t have the force producing engine that allows this car to drive forward at crazy speeds. You’re nothing without the horsepower. For the purposes of getting stronger, you’re always going to want to keep lower body work into your strength and conditioning system 1-2x per week, preferably two. What is a Good 60-Yard Dash Time? Keyword mentioned above is “sprint-based”. This means avoid just going out for aimless jogs around the neighborhood. Prioritizing distance running makes no sense for your 60-yard dash performance. And due to intracellular signaling processes that occur during exercise, this type of work can even make you slower. There’s a reason marathon runners aren’t also sprinters, the muscles don’t adapt in a way to be fast or explosive. In other words, we want to get moving, but we don’t want to run too far or just do 60’s all the time. Speed training must be variable, just like your resistance training. 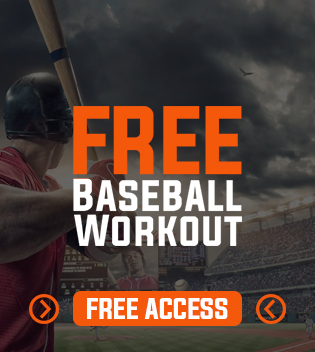 Below is a baseball speed workout system that you can use to improve your 60-yard dash and start dominating on game day. The 60-Yard Dash test for baseball is important on many levels. 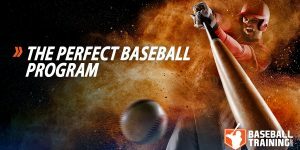 I hope this article today help dispel some current myths that the industry has in place and shed some light on some of the next steps you can take to improve your game and test better in the 60-Yard Dash when performing in front of coaches, scouts, or wherever you are asked to take the popular baseball speed test. 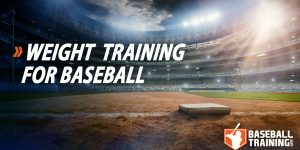 And if you’re ready for a full program to help improve your speed head on over to our Baseball Training Programs page and check out the speed program we are offering!